Sakura Media: The end of Lovesick? So you've probably seen my latest video, if not I recommend you go watch it if you don't want to read this lengthily novel to understand whats happening. 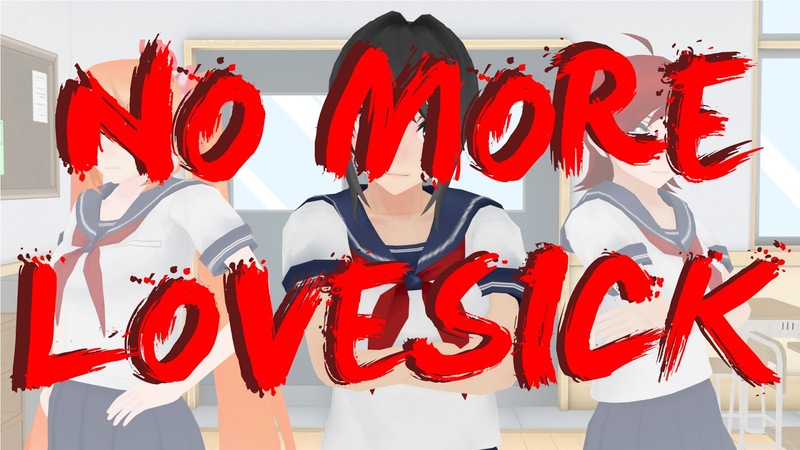 But if you do want to hear more from me explaining my current situation read on as I explain WHY Lovesick and Sakura Media might stop altogether. To put it simply, I'm not making any money. In May 2018 I quit my Industry job and moved back into my parents house, I decided to try and do YouTube full time as Sakura Media, to try and make a living out of Lovesick and Animations on my channel. The money wasn't a big issue at this point because I figured I slowly start to make more as time went by. And I did! But it went down very quickly too, I need to have a good regular and RELIABLE income for me to continue doing this full time, but my animations take along time to do. They aren't videos I can upload at a weekly basis never mind a daily basis like most You Tubers do. Each Lovesick episode does do insanely well view wise, but they gradually increase over time so the money is very little and spread out over months. I don't want this to sound like just in it for the money... But I'm 26 years old, I just moved out of my own house where I had a good income, to now move into my parents spare bedroom with a bit of pocket money every week. I have defiantly gone backwards. But it was a risk I was willing to take to be able to animate my own videos for a living, I worked in the game industry for 3 years and every day at work I would think about what I could do for my own animations. I would get so frustrated at work and daydream about the possibilities, so when my YouTube channel started to get popular I jumped at the chance to make Lovesick a series that would start me on the road to doing this full time! It was exciting but also very scary. All my work colleges at the time were egging me on and impressed with what I had accomplished in my spare time. But they didn't see how tired and ill I had made myself too. All they saw were the subscriber count going up, that's all anyone saw. Monday to Friday I worked 8.30 till 6 on a computer and during the weekends I'd work practically all day working on Lovesick. I'd sit down at my computer in the morning and not leave till it was dark outside, so many times I hadn't even moved from my chair to eat and also realising I hadn't been up to use the toilet that entire time either...that was a weird one. Now straight away that's obviously not healthy, I've gained a lot of weight this past year...which I don't really care about but I usually don't put on weight so it was a sign I've gone too far. Every night I had headaches because of looking at a screen all week and my hands were aching from repetitive strain, which I've always had issues with, but it got really bad. I'm not trying to make you pity me, at the end of the day I don't regret working like that because it was my chance to work on my own series and that's all I want to do. People work on projects like this all the time, working themselves to the limit because they have so much passion for it. But all my hard work to create a video leaves it to then be uploaded onto YouTube. And YouTube hasn't been at its very best these past few years. Decreased the percentage of ad-revenue for all creators. Moved to a watch-time based monetisation, meaning shorter videos don't get served any premium ads. Created THE ALGORITHM. Videos don't show up in searches as much as they used to. A lot of subscribers don't see videos in their feeds, again, mostly down to watch-time. The algorithm only cares about quantity, not quality. Responded to the AD-POCALYPSE with crazy strict rules. Absolutely everything must be kid-friendly now. Lovesick content is 50% kid-friendly, for now. If I want to earn any money for future episodes I'll have to remove a lot of content. Copy write is a huge worry for most of my work, if anything is seen as copy write in a video you'll make no money from it, which is upsetting because I want to recreate a lot of YouTube videos with animation. So for YouTube to be my only income, its not a very reliable one is it? It would be a little bit different if I was able to upload a video a lot more often, but that's literally not possible for animations. And its even harder with Lovesick because that's a big production, let me explain the process of making a lovesick video. First I need to write up the script, this can take a few days as I need to research the game and think about all the rivals and how each decision will impact the story later on. Then I send the scripts to my voice actors, I'll also need to find new ones if a new character has appeared. It will take a minimum of 2 weeks for them to send me back the lines, I've had to wait over a month for one voice actor before. Next I have to listen to all the takes from each voice actor and ask for redos if needed and then I edit them into each scene. This can take a few days to get right. I then take the audio and record myself in motion capture acting to each characters lines. This will only take a day to do. Then I need to setup the scenes with the environment models, usually they are easy to find but sometimes I can't find a model to download and it takes awhile to find alternatives or approach a ripper to share theirs with me. This also goes for character models. If I need a new character I'll also have to rig them to use in my software, I don't use MMD like many of you think I do. All the models I find are built for MMD so I have to do a lot of editing and re exporting to have them ready in my software. Finally I can start animating, I add the mocap to my rigs and clean up the animation. Now this part can take awhile but it can also be very quick depending on the complexity of the scene and how many characters are involved. It also depends on the motion capture quality. I've gotten scenes done in one day but some scenes will take a week to animate because of all the extra characters and things just going wrong. Once the motions are animated for each character I have to animate their facial motions too. This usually takes a day per scene. Once all the animations are done I render out each scene, this can take a few hours. I then render out extra scenes that I use for transitions, Things I add in between each scene to break them up. But once I have my final video I send it over to DigitalZombieStudios who add the sfx and music. This usually takes a few weeks. I have hardly ever asked for a redo, because hes just that good! Then I simply upload to YouTube! Easy right? So over a months worth of work, which I did estimate at the beginning and figured that would be possible when doing this full time, but things would get in the way, and its never as simple as you'd imagine. And in those moments where I was waiting for voice actors or other things I take that opportunity to work on other animations. Like the Miraculous Reveal or Rwby Animations. 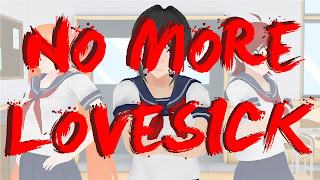 I'm not going to lie, I get bored with Lovesick, I'm not a HUGE fan of Yandere Simulator, I think the game is fun and the character development and backstory is interesting but the fandom behind it is insane and the drama...seriously?! Not for me. So yea, I did get side tracked and worked on other things, which I stated in my video was a bad thing to do and was all my fault. If I had focused on Lovesick only I'd probably have 3 episodes done for the second season by now. But I figured the more episodes I could get out quickly other than Lovesick would help increase my income, but I was very wrong. But this whole thing has been a complete learning curve for me. I'm only just learning the 'ways of YouTube' And that thing changes every minute. Stop YouTube, get a job in the games industry once more. Continue YouTube for a few more months working solely on Lovesick and hope that my Patreon support can become more stable for me to rely on. BUT Mid December I am starting a contract job with a games company for around 3 months worth of work, so this is a good opportunity for me to make some money to last a few months doing YouTube for a bit longer and it lets me try out industry work and YouTube work at the same time, to see if I can do both without making myself ill and overworked. So With all of this in mind, I am thinking that by May 2019 I will have made my final decision. To continue YouTube or to Join the Games Industry once more. For now I hope you don't unsubscribe to me in a fit of rage learning that Lovesick might not be finished. Please think about the fact that I am doing so much work completely alone and with very little reward. There are so many You Tubers out there who honestly do very little when it comes to content, they can record, edit and upload a video in a day. And they have hundreds of patreon support too! And animation channels on YouTube make very short and simple videos. I haven't seen any other animation channel on YouTube who has made a series completely alone, with each video over 5 minutes (Series wise) and have good quality animations throughout. Maybe I haven't seen one because it literally cant be done, not by relying on YouTube alone. I really want to continue doing YouTube, I've gained such a massive following in just over a year and I really enjoy doing my own animations over games industry work. But I really need to sort out whats best for me at this point and I hope you understand. I know a lot of people will have things to say about this, good and bad. But I'm one of those people who think, 'Its my life, I'm going to do whats best for me at the end of the day.' And I'm not going to change that way of thinking. For now I hope you enjoy the Christmas Video I'll upload soon and I'll keep you informed about Lovesick Season two when I make my decision. Maybe something will change.